Sen. Kim LaSata, R-Bainbridge Twp., (left), and her new Chief of Staff Katie Witkowski. 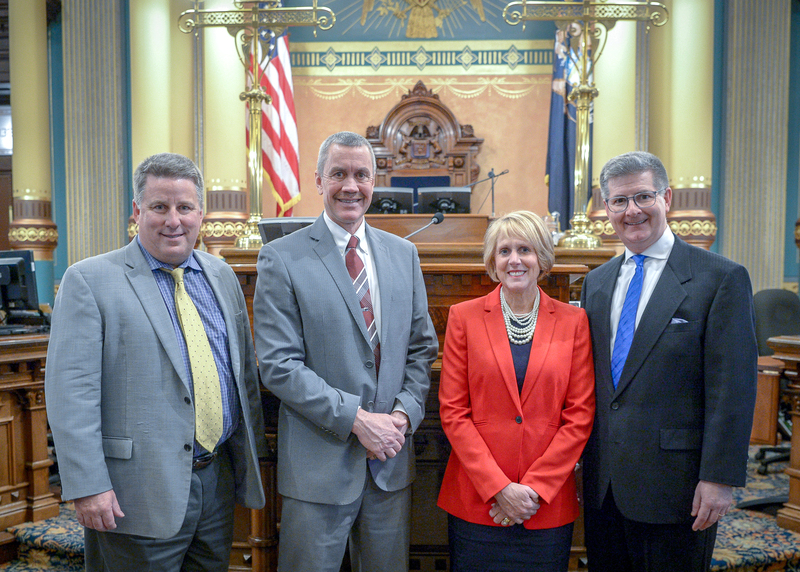 Pictured are, from left, Charlie LaSata, Southwestern Michigan College President Dr. David Mathews, Sen. LaSata, and President and Chief Operating Officer of the Edward Lowe Foundation Dan Wyant. 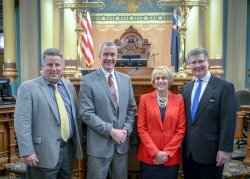 The guests joined LaSata in the House of Representatives chambers for the governor&apos;s State of the State address. 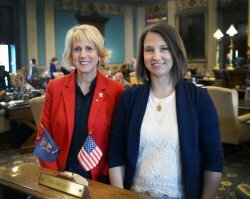 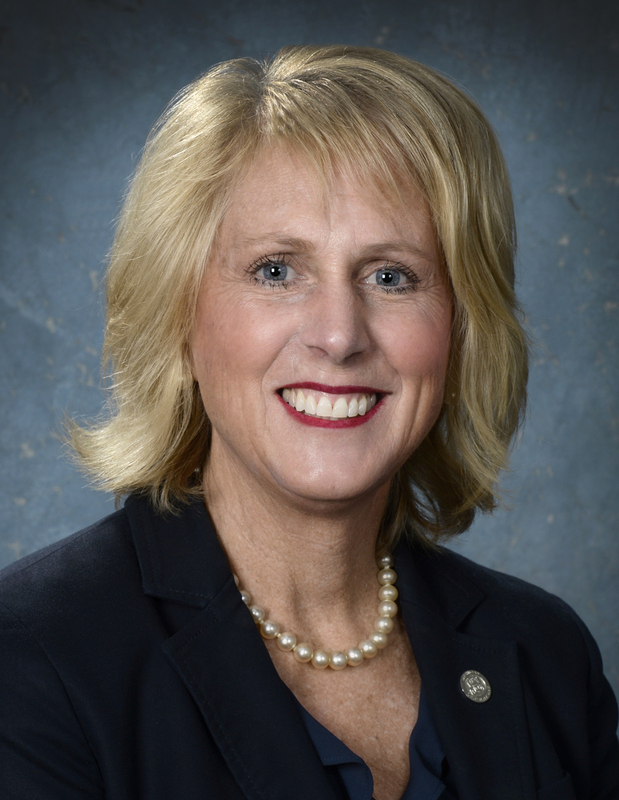 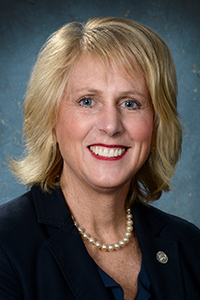 State Senator Kim LaSata, R-Bainbridge Twp., was sworn in as Senator of the 21st district on Wednesday, Jan. 9, 2019 during a ceremony at the state Capitol. 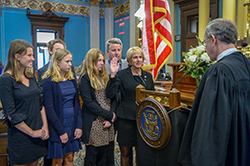 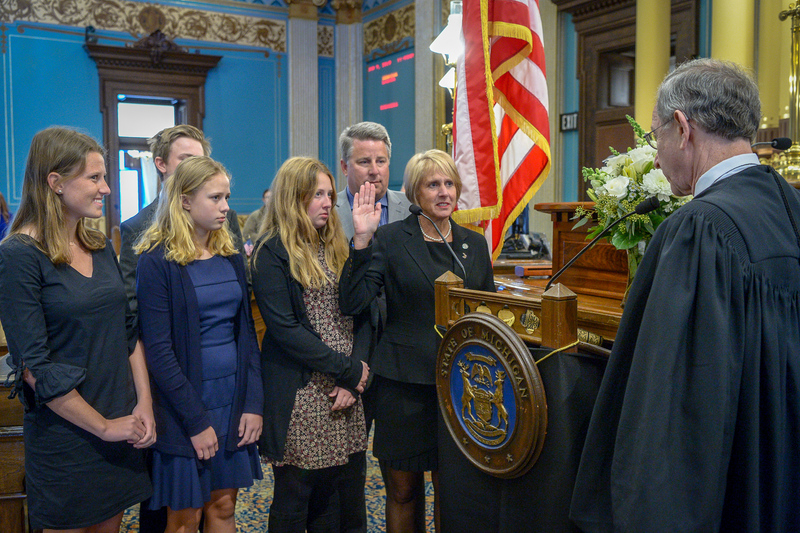 Pictured with LaSata is her family and Michigan Supreme Court Chief Justice Stephen Markman, who administered the oath of office.